Awaited for twenty years, the publication of Power vs. Force by David R. Hawkins, M.D., Ph.D., reveals to the general public secret information heretofore only shared by the author with certain Nobelists and world leaders. Analyzing the basic nature of human thought and consciousness itself, the author makes available to everyone the key to penetrating the last barrier to the advancement of civilization and science and resolving the most crucial of all human dilemmas: how to instantly determine the truth or falsehood of any statement or supposed fact. 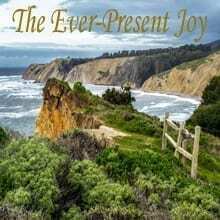 This author’s boyhood spiritual experience of the “Infinite Presence” has directed his life’s work as a healing psychiatrist, a healing that transcends his patients’ physical world. 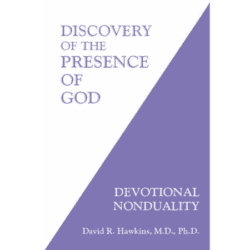 Dr. Hawkins’s basic thesis focuses on the “Ultimate Presence” – the source from which individuals can reach their highest potential. He uses theoretical concepts from particle physics, nonlinear dynamics, and chaos theory to support his study of human behavior. The book is divided into 3 parts. Part 1 describes the process of moving toward one’s ultimate potential. Dr. Hawkins then discusses his theory by explaining the progression from negative energy fields or attractors to positive attractors, which ultimately lead to pure consciousness. Based on 20 years of research, he has developed an intriguing Map of Consciousness that, in essence, charts one’s spiritual growth. The map outlines a listing of attitudes and emotions with corresponding calibrated numerical values. Feelings such as blame, anxiety, and hate fall into negative energy attractor fields; affirmation, trust, and optimism are examples of positive attractors that are life enhancing and ultimately lead to pure consciousness. By applying principles from kinesiology and acupuncture, the author explains the association between positive attractor fields and one’s health, well-being and creativity. Part 2 presents an extensive listing of adjectives that connote power-versus-force patterns of human attitudes. It provides a basis for examining the quality of human interactions and relationships in various life endeavors, e.g., the marketplace, sports, the arts, health, and wellness. Part 3 focuses on the evolution and current state of man’s consciousness, which Hawkins suggests is at the threshold of power after centuries of force. He posits that an individual’s power and level of consciousness can be enhanced through greater integrity, understanding, and compassion. Readers will find themselves challenging methodology or various suppositions and being intrigued by others as the author relates the world of spirituality to the hidden dimensions of human behavior. All human endeavors have the common goal of understanding or influencing human experience. To this end, man has developed numerous descriptive and analytical disciplines: Morality, Philosophy, Psychology, and so on. Regardless of what branch of inquiry one starts from—philosophy, political theory, theology—all avenues of investigation eventually converge at a common meeting point: the quest for an organized understanding of the nature of pure consciousness. To explain that which is simple can be difficult indeed. Much of this book is devoted to the process of making the simple obvious. If we can understand even one simple thing in depth, we will have greatly expanded our capacity for comprehending the nature of the universe and life itself. “A beautiful gift of writing… (You) spread joy, love, and compassion through what you write. The fruit of these three is peace, as you know…”—Mother Teresa, Templeton/Nobel Peace Prize recipient, anointed Blessed Teresa. “Perhaps the most important and significant book I’ve read in the past ten years.”—Dr. 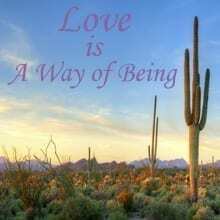 Wayne W. Dyer, motivational speaker and prolific best-selling author.